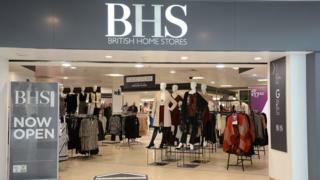 Troubled department store British Home Stores (BHS) has filed for administration. The retailer's debts top £1.3bn and include a pensions deficit of £571m. Some 11,000 jobs are now under threat. BHS was bought by billionaire Sir Philip Green for £200m in 2000, but he sold it last year for just £1. New owners Retail Acquisitions, a consortium of financiers, lawyers and accountants, have failed to raise £160m in fresh capital to reverse losses. "This has awful echoes of the demise of Woolworths," said Nick Hood, business risk advisor at Opus, an insolvency practice. "It's a disaster." BHS has lost money for each of the past seven years, and had asked creditors to agree to a Company Voluntary Arrangement (CVA). In effect, this would have been a compromise financial deal that depended on the creditors accepting reduced rents. BHS had previously said this effort would be vital to turn around the business. But news that the company is filing for administration shows those attempts have failed. BHS has operated an international franchise business for more than 30 years. Its current partners operate stores in more than a dozen countries across Europe, the Middle East and Central Asia. The retailer had recently divided its 164 UK stores into three groups - depending on their profitability. The company's turnaround plan called for the rents at 77 stores to remain unchanged, while for another 47 stores the company was "seeking a reduction in rent to market levels." The company had hoped the 40 least-profitable locations would continue to trade for a minimum period of 10 months, while the discussions over "substantially" reduced rents continued. BHS had also been in talks to address its £571m pension deficits with the Pension Protection Fund (PPF), the government-supported rescue agency, as well as the Pensions Regulator and the BHS pension trustees. BHS recently maintained it would continue to meet its payment obligations for roughly 20,000 pension holders, and any new buyer of the company would be required to take on this significant deficit. But in the BHS CVA submission, company directors indicated they were hopeful the two pension schemes would be transferred into the PPF, leaving the firm without further funding liabilities. As recently as late March, BHS warned it needed extra funding to continue trading and was trying to raise £100m. They sold their Oxford Street lease in London for £30m but it was far less than they hoped for. And they also sold the lease on a Sunderland store to Sports Direct's Mike Ashley for £2m. 1986: The store merges with designer Sir Terence Conran's Habitat and Mothercare to form Storehouse Plc, and the "British Home Stores" name is replaced with "BhS", then "Bhs" and eventually "BHS"
Video BHS revamp: Will it work?